It’s a rare person who can claim graduate degrees in both law and music; rarer still is one who has put each of those degrees to work as admirably as Susan De Groot Boucher ’73. Susan earned her bachelor’s degree in music, with honors, from St. Norbert College, and continued to excel in that discipline while attaining a master’s degree from Wichita State University. For nearly two decades, she volunteered her talents on the piano at Edgewood High School and Blessed Sacrament Grade School in Madison, serving as accompanist for the schools’ musicals and choirs. Several times each day for weeks on end, Susan would set work aside to travel to the schools for rehearsals and performances. For this tireless effort, she was inducted into the high school’s Hall of Fame of Fine Arts, and in 2011, she received the Community Service Award from the Wisconsin Music Educators Association, in recognition of her selfless contributions. At the same time, Susan was pursuing a career in law. After Wichita State, she enrolled in the University of Wisconsin-Madison Law School, and received her Juris Doctor degree in 1978. That same year, she began a practice in estate planning, probate and marital property with the Madison firm Aagaard & Nichol. Ten years into her legal career, she joined her husband, Joe, at Stolper, Koritzinsky, Brewster & Neider, and became a founding member of the Neider and Boucher law firm when it was formed in 1995. She continues to practice law there to this day. Susan’s work in law has been appreciated far beyond her client base: Madison Magazine named her one of the city’s top attorneys in 2005 and a Wisconsin 2016/Madison area Super Lawyer; Milwaukee Magazine named her one of the top attorneys in Wisconsin in 2016; and she has been nationally recognized for her expertise and ethical practice. A successful law career and a busy schedule of volunteer musicianship would qualify as a full plate for most, but Susan had still more to give, particularly to her family: Her nominators universally cite her as a loving wife to Joe, a caring mother of three, and a doting grandma to her grandchildren. 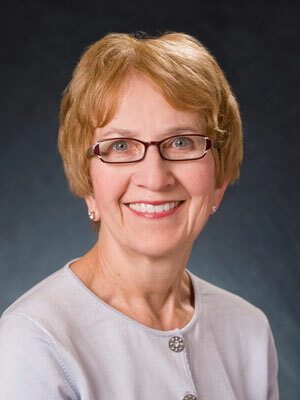 As an outstanding scholar, an accomplished lawyer, a champion of music education and a woman devoted to family and faith, Susan De Groot Boucher has excelled in every respect, and for that reason, we are proud to honor her with the Distinguished Achievement Award for Public Service.